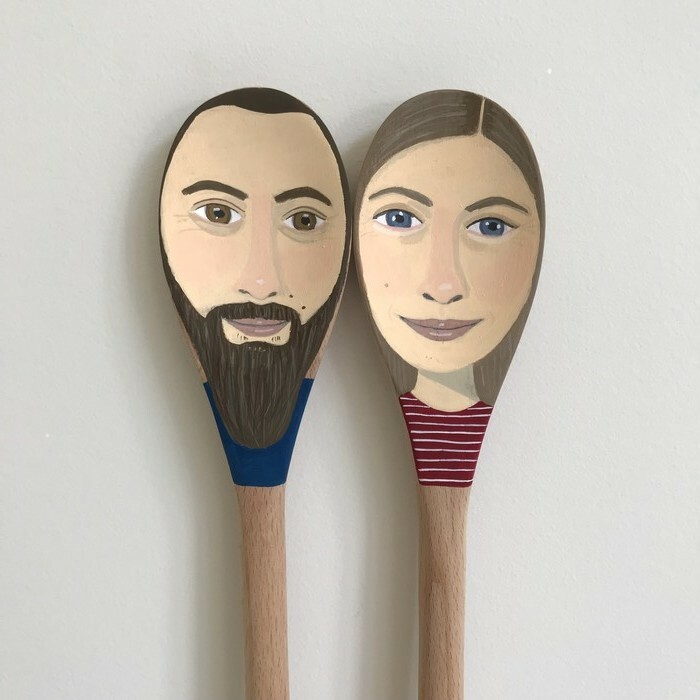 This wooden spoon could be a portrait of you, a pet or a friend. I hand paint them using acrylic gouache. They are for ornamental use only and would look fabulous in any room of your house! 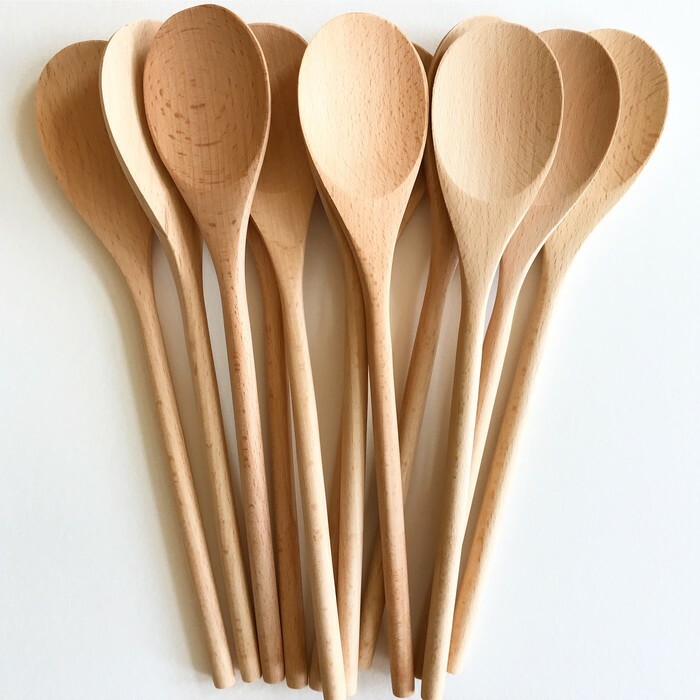 The birch wooden spoon is 36cm in length. 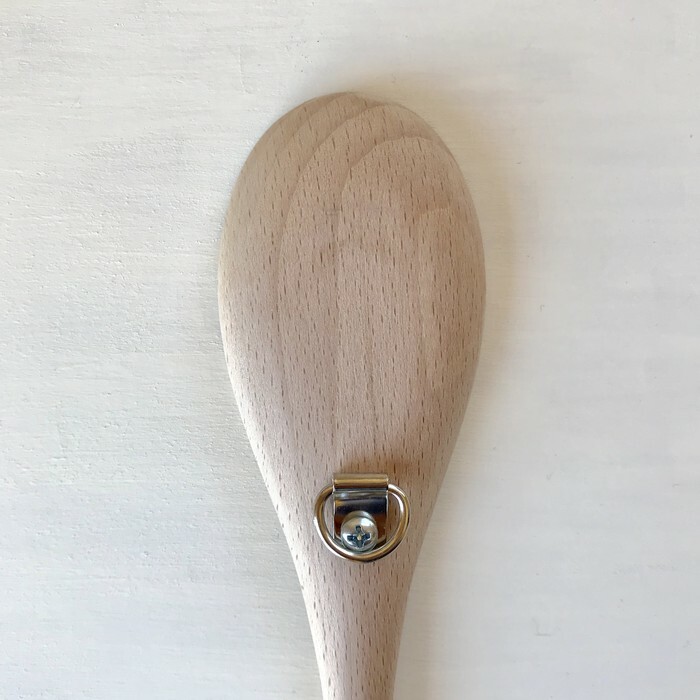 It has a a D ring hook attached to the back ready to hang and will arrive at your doorstep packed beautifully inside a cardboard postal tube. All I need from you is 2-3 photo references emailed to me at emmadrawseveryday@gmail.com along with eye colour details. 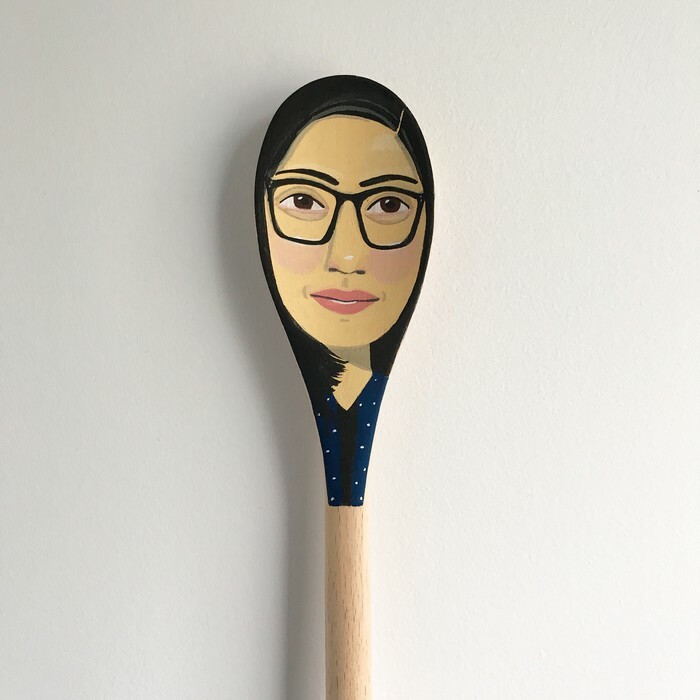 Allow 1 - 2 weeks for your spoon/s to be painted & posted. 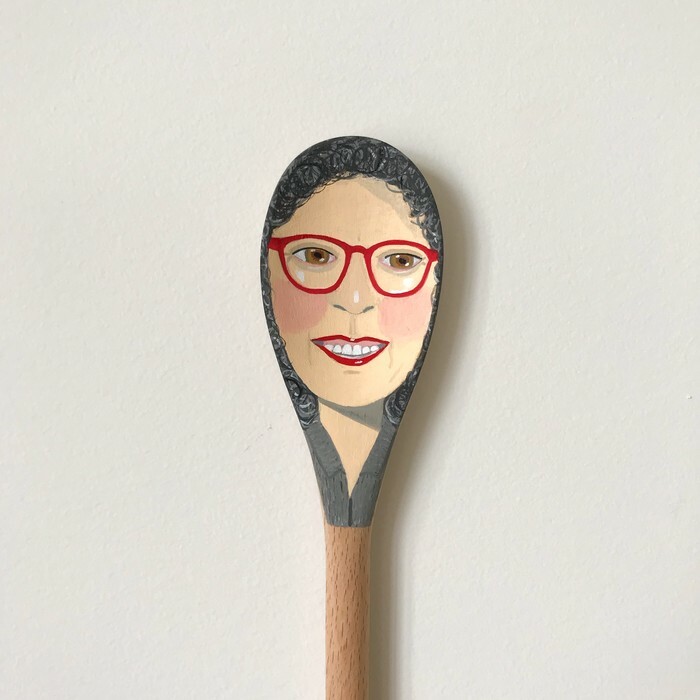 Please get in touch via email if you require your spoon/s more urgently.